I think this book tells us, so very strongly and passionately, that people really are different. 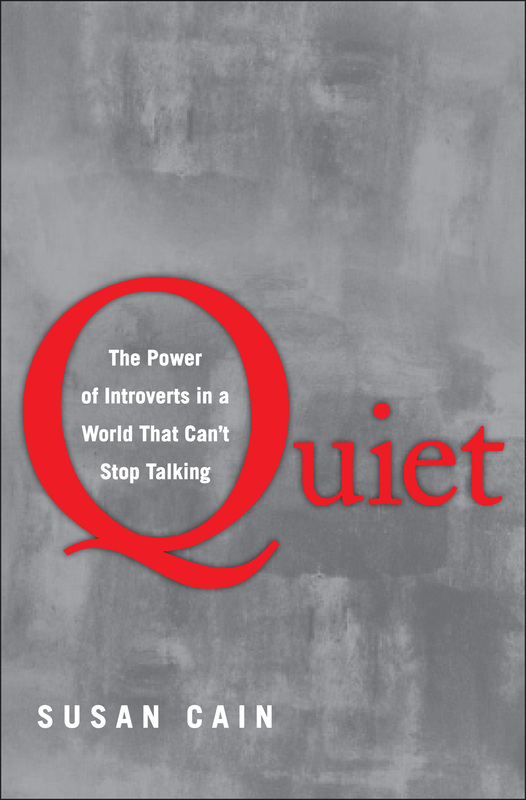 And in our “extrovert-path-to-success” world, the introverts really are different, and we — our culture, our business world — must “let them”, and “enable them”, and “encourage them” to pursue the introvert path. It really is okay to be different than the “expected norm”. We like to think that we value individuality, but all too often we admire one type of individual—the kind who’s comfortable “putting himself out there”. Introverts, in contrast, may have strong social skills and enjoy parties and business meetings; but after a while, wish they were home in their pajamas. They prefer to devote their social energies to close friends, colleagues, and family. They listen more than they talk, think before they speak, and often feel as if they express themselves better in writing than in conversation. Many have a horror of small talk, but enjoy deep discussions. There’s a word for people who are “in their heads too much”: thinkers. Our culture admires risk-takers, but we need our “heed- takers” more than ever. Everyone shines, given the right lighting. For some, it’s a Broadway spotlight; for others, a lap-lit desk. You should get in the alone zone. Long stretches of alone time are when you’re most productive. When you don’t have to mind-shift between various tasks, you get a boatload done. For some, that is what they prefer “most of the time”. Such people are the introverts, and they really do get an awful lot done in their “alone zone” time. I think the world may work best when we honor both types. I suspect that Steve Wozniak, the introvert, and Steve Jobs, the extrovert, were the perfect “match”. We need both. Susan Cain has taught us this, or at least reminded us of this, in a genuinely important book. Why Isn’t Your Team Acting Like a Team? Let’s face it, you’re not really leading a team. You’re just managing a collection of individuals that’s called a team. And, it’s possible that the most frustrating thing about it is that the people on your so-called team are really good individuals. It seems like it should be a great team; but honestly, not only is it not a good team—there are lots of times when it doesn’t feel like a team at all. What’s the problem? 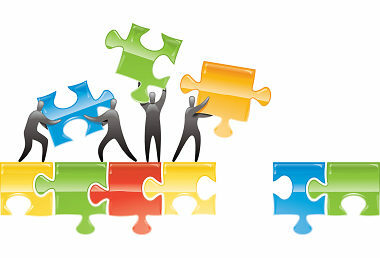 Why is it so hard to get great individuals to mesh together as a great team? Unclear Expectations – The leader may expect the team to function like a team, but are the roles really clear? There’s a professional courtesy at many levels that says, “I won’t criticize your area, if you won’t say anything about mine.” The leader wants there to be robust dialogue on issues. He or she wants the team members to wear “generic team member” hats at the staff meetings, but it’s not that simple. A voice in a team member’s ear may be saying, “You didn’t get to where you are by being a generic team member. You are here because you are a specialist.” To the leader, “generic team member” makes perfect sense, but to the rest of the team, it feels counterintuitive. Structure – What if a sports team never practiced together? Would we expect them to have a winning record? Probably not. And yet, management teams often admit that the only time they really meet together is to prepare for the City Council meeting. Council Agenda meetings are critical, but if that’s the only thing that is discussed at your staff meeting, it’s not likely that your team will ever act like a team. It’s the system that’s keeping the team from being a team. Change the structure and you will discover that the team starts coming together. Bonding – You can have great individuals, but if there’s not a bond within the team, then it’s never going to “feel” like a team. Different things contribute to that bond, but among the most important ingredients are: time, common goals, adversity, and shared experiences. Take away even one of those, and the bond will be weakened. Trust – The more we demand trust, the more elusive it becomes. If your team needs more trust, step back and think about the root causes. Chances are you’ll see some things like hurt feelings, uncertainty, memories of broken promises, and scars from “The Way We Were!” These are called “Trust Blockers,” and they must be carefully addressed. Trust may not be the problem, but it’s the first thing you should consider. Transparency has been the hot-button word since the emergence of social media, but is there such a thing as giving out too much information? Did he just throw a fellow employee under the bus? And more importantly, what does that say about the company? To make matters worse, a handful of us ended up arriving to our destination two hours late and missing our connecting flight. Although the customers knew exactly why it happened, it still didn’t leave us good feelings about the airline’s team unity and overall mission. Don’t misunderstand me; I’m a strong advocate for transparency in local government and any organization, but there are instances where it can cross the line of giving out unnecessary information. The same information was told, but it was aimed at a different motive and outlook, which makes all the difference. No matter what, you always want to put your organization’s best foot forward. Even when things go wrong, you want to let your audience know that you’re working towards a solution. So the next time you’re giving out information, consider if it’s necessary and if it’s enforcing your organization’s goal, mission, and values. It’s definitely an art, but like everything else in life, practice makes perfect. As we stated last week, in simplest terms, a need is a gap. It is the divide from an existing state to a desired state. For example, it represents where an employee’s skill level is versus where you want that skill level to be. Valid data must first be collected. There are dozens of data collection methods and all of them have pros and cons. Raymond Noe stirred our thoughts on the topic in his book Employee Training and Development. Some of his observations are incorporated below. Online Survey – Standardized electronic questionnaire that asks predetermined questions. Paper Questionnaire – Standardized hard copy questionnaire that asks predetermined questions. Face-to-Face Interview – Structured face-to-face question and answer session using predetermined questions. Archived Data – Data that have already been collected by an organization and are in their records or archives. Focus Groups – Structured interviews with small groups of like individuals using standardized questions, and exploration of other topics that arise to better. Observation – Structured observation using standardized criteria. Simulation – Using actual equipment or assessment, but not in the work environment. SGR recommends utilizing a minimum of two collection methods. Comparing data sets from both methods will solidify the validity of identified gaps, positioning you to present a strong case for training to meet the need. The answer is found in practicing encouragement — encouraging the heart. That’s the wisdom of Kouzes and Posner, and this book sets forth a plan to do exactly that. Encouraging the Heart is ultimately about keeping hope alive. Leaders keep hope alive when they set high standards and genuinely express optimism about an individual’s capacity to achieve them. They keep hope alive when they give feedback and publicly recognize a job well done. They keep hope alive when they give their constituents the internal support that all human beings need to feel that they and their work are important and have meaning. They keep hope alive when they train and coach people to exceed their current capacities. Most importantly, leaders keep hope alive when they set an example. 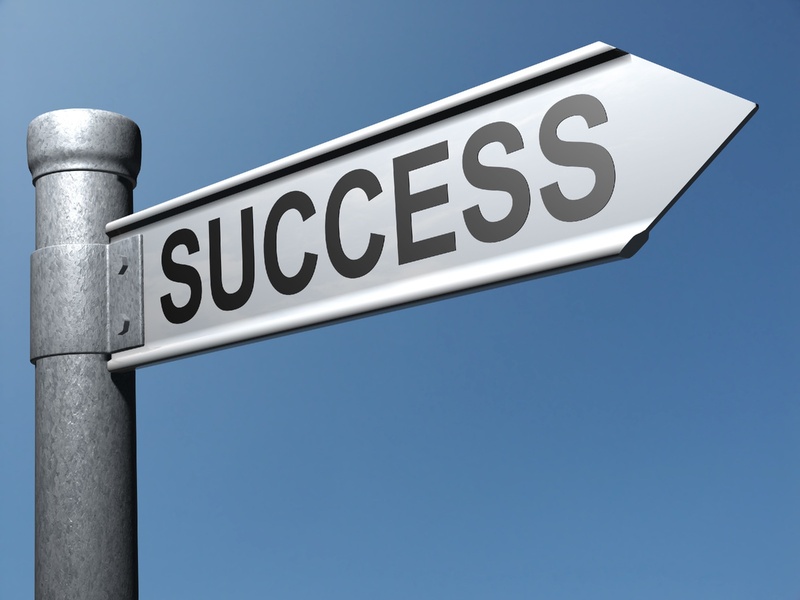 Set clear standards – People have to know exactly what is expected of them in order to fulfill their assignments. Expect the best – “Expect the worst” and a leader will likely get the worst. “Expect the best” and a leader will get something much closer to a person’s best. Thus, practice the “set-up-to-succeed” environment, not the “set-up-to-fail” environment. Pay attention – A leader has to pay attention. Listen and observe in order to know how to successfully encourage each individual employee. Personalize recognition – Do not give everyone the same recognitions/rewards. This can be very counterproductive. By choosing personalized rewards, the leader indicates that he/she knows each employee as an individual. This is powerfully encouraging. Tell the story – The leader tells lots of stories of success as part of the overarching story of the company or organization, which is told and retold over and over again. This practice is morale building, culture building, and very encouraging! Celebrate together – The leader makes sure there are plenty of fun times of celebration, shared by all, after noteworthy milestones or accomplishments. Set the example – The leader has to do what the folks are expected to do. “Follow the leader” is in fact what happens. So, the leader makes sure that he/she is setting an example and providing a model to follow. 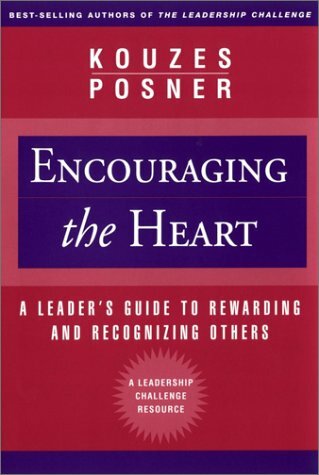 Encouraging the Heart should be, in my opinion, the first book every leader should read because leaders are leading people, and people need great and continual encouragement to get closer to their “best”. Your Team Likes Each Other, But Do They Trust Each Other? Paul Zak, Professor of Economics at Claremont University, found that when less than 30% of people trust each other, poverty usually increases in that country. What havoc is a lack of trust causing in your organization? It may be hard to put a price tag on it, but it’s probably causing ideas and solutions to dry up. Imagine that trust abounds on your team. You bring up a good idea at a staff meeting, and because there is a high level of trust within your team, people begin to talk. Each person shares a different perspective and adds a twist that no one had thought of before. The discussion is dynamic, and in a little while, the good idea you had has become an even better idea—thanks to the magic of robust dialogue. (Not only that, but it’s become a shared idea—another major bonus!) Together you’ve developed a plan for overcoming what once seemed to be an insurmountable problem. Is that a dream? Here’s a nightmare. Imagine that trust is at an all-time low on your team. Solutions to problems seem almost impossible to find. Finally, you have an idea that just might work. You bring it to your team, and because trust is low, no one dares to be vulnerable enough to speak up. There is no robust dialogue because no one trusts each other enough to share their perspective. Without robust dialogue, your good idea remains exactly that—a good idea. If and when it is implemented, it is not powerful enough to actually solve the insurmountable problem. The lack of ownership from the rest of the team prohibits them from having the passion needed in the execution phase to create success. Sound familiar? It happens all the time. It’s the recurring nightmare of organizational effectiveness. Oh the power of trust! What does it look like? 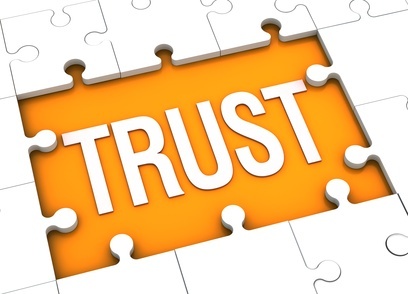 How can you nurture trust on your team? Here’s a list of traits that teams with a high level of trust usually possess. They ask for input and assistance from teammates. They give help when requested, even when a task is outside their duties. They compromise when it is necessary. They refrain from talking about absent team members. They promptly respond to a team member’s request for more information. They practice “intentional redundancy” when communicating with others. Start practicing those things and trust will grow. Watch trust grow and you will see ideas and solutions popping out of nowhere. Social media is a blessing and a curse to the news industry. It’s a great way to get news to spread instantly, but on the other hand, it can also spread the wrong news instantly. Because news is a 24-hour business these days, some news agencies are so worried about being first instead of right. Unfortunately, we saw this with the tragedy that recently occurred during the Boston Marathon. News agencies were so focused on being the first ones to bring the supposed new information to the public that sometimes that “new information” was not always accurate. You may have even experienced this error with your own organization. Maybe a reporter erroneously stated that taxes will go up or said that your organization is involved in some non-existent lawsuit (and yes, I’ve been a witness in the newsroom when both of these false stories were reported). So what should you do as an organization when this happens? There’s no easy answer to this, but here’s a good start. 1. Take Back Control of the Story. Through every avenue you can think of, let your public know what the truth is. All hands on deck! Post the truth on your organization’s website, update the Facebook page, Tweet it out on Twitter, etc. Be sure to state that there are erroneous reports floating around, restate the truth, and regain the reins of the facts. 2. Let the Media Know About the Error. Now it’s time to let the news agency know about the error. I know what you’re thinking, “Shouldn’t I tell the news first?” No, you shouldn’t! You need to make sure damage control is done on your end first. Besides, one thing the news hates is a retraction. (No one really likes admitting they were wrong.) So the possibility is very high that the correction will be a little blip at the end of a story instead of the top headline, like the original false story was. 3. Be Cautious in the Future. You should forgive the person who gave the wrong information, but don’t forget it. For future reference, be picky about the interviewers with whom you choose to talk or make sure the interview is recorded for further clarity. Fooled me once, shame on you. Fooled me twice, shame on me, right? There’s no foolproof way to stop the media from reporting anything, but as long as you have an action plan in place just in case they get it wrong, you’ll be well on your way. Before any organization can begin training and developing employees, it must purposefully identify its own needs. Otherwise, opportunities for waste abound. A need is a gap. In simple terms, a needs assessment identifies gaps or spaces between the current state and the desired state. An organization cannot confidently identify its needs without a systematic means of determining gaps that exist between where the organization is and where it wishes to be. In the book Multimedia-based Instructional Design, needs assessment is described as the systematic process of determining goals, identifying discrepancies between actual and desired conditions, and establishing priorities for action. It is important for all employees to recognize that needs assessment is much more a process than event and one of the primary positive contributors to creating a development culture. The primary purpose of needs assessment is to determine if and where there are issues for which training, or other developmental activities, can help close the gaps identified by the needs assessment. An effective needs assessment is purposeful and thorough. If implemented properly, it eliminates bias and yields timely and valid insight while providing opportunity to align development initiatives with business strategy. Individual, team, and departmental goals and effectiveness in achieving these goals. Knowledge, skills, abilities, and core competency gaps that negatively impact effective job performance. Conditions under and surroundings where development opportunities will take place. Effectiveness of development activities and opportunities. Whether or not existing development activities are accomplishing their original purpose. A needs assessment that is ultimately validated via transfer of knowledge and return on investment evaluations increases stakeholder confidence and lays a positive foundation for future training and development opportunities. A needs assessment can be extensive or can be applied to one job function. It can be organization wide or focus on an employee’s skill gap related to using one piece of equipment. Needs assessment involves gathering data, and there are numerous ways to do so. Regardless of the collection methods an organization chooses, SGR recommends implementing two methods at a minimum as a means of validating collected needs data. We will review various needs assessment methods in next week’s post. 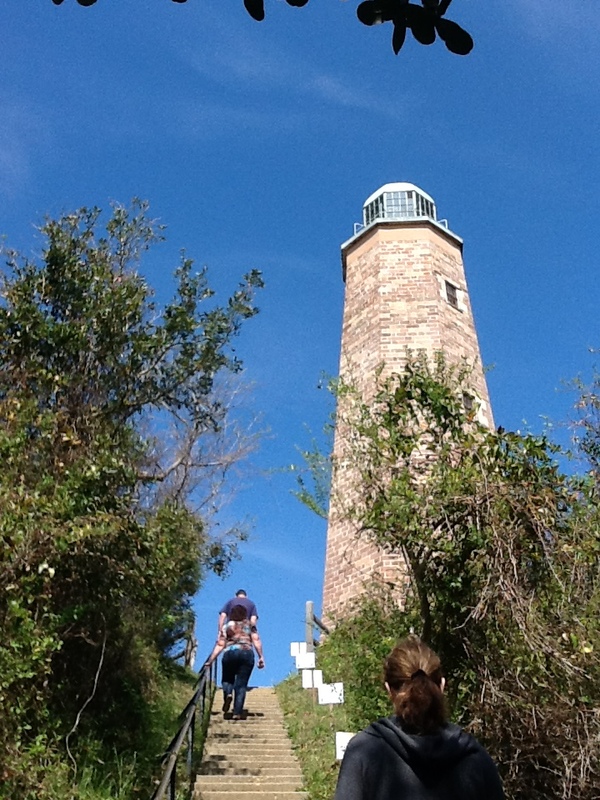 Last week, I spent a few days in Virginia Beach and had the opportunity to visit the Fort Story Lighthouse. 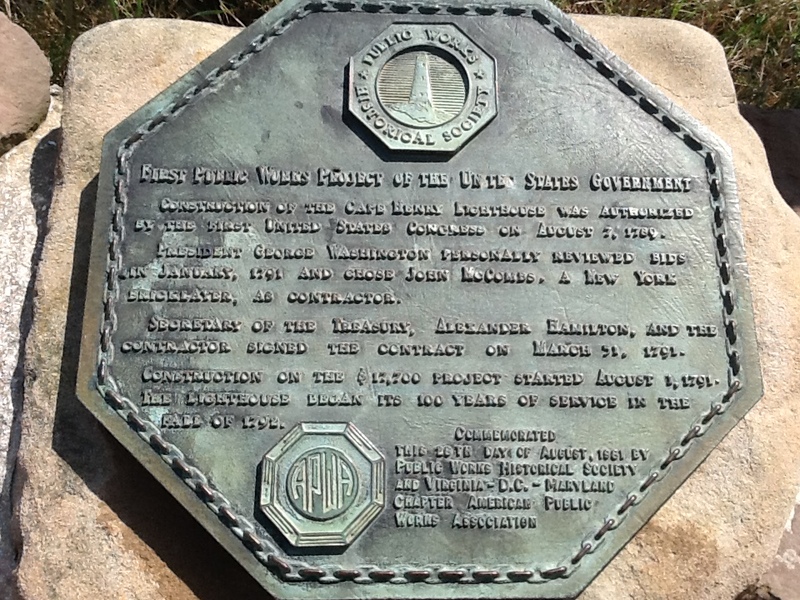 It is the very first public works project ever funded by the United States Government. George Washington personally reviewed the plans and selected the contractor! While no longer in use, it is still standing — a living testament to well-designed and well-constructed public works projects. As I climbed the spiral staircase to the top (still standing tall in its third century), I was reminded how quickly our current public infrastructure is approaching crisis condition. The American Society of Civil Engineers has issued their 2013 Report Card on America’s Infrastructure and assigned it a D+. Even though the declining condition of our infrastructure is one of the single greatest threats to our long-term economic vitality as a nation, and even though it has rapidly grown into a $3.6 trillion unfunded liability, we continue to ignore the long-term implications of failing to invest in our future and the very real costs of using short-term time horizons for our decision making. Too many of our communities focus only on the short-term costs of investing while making believe they will never have to face the rapidly accumulating long-term costs of a decaying infrastructure. And the brutal fact is that communities which fail to think long term are destined for mediocrity and decay. It really is no different for communities than it is in our personal life. Individuals who start planning for and investing in their future while they are young and vibrant manage to sustain a very high quality of life as they age. Those who are unwilling to invest in the future end up in their later years surviving, but rarely thriving. If we really want our communities to offer “high quality of life” environments which are economically vibrant and sustain over generations to come, it really is as simple as utilizing Strategic Thinking to change our decision horizon away from a two-year election cycle into a two-generation decision horizon. While self-interested political thinking pushes us to make the shortest possible time horizon decisions, Strategic Thinking creates a culture that routinely considers a minimum two-generation decision horizon. And note that a two-generation decision horizon is a MINIMUM. Many infrastructure decisions have impacts far beyond 50 years. One dynamic city I have conducted City Council retreats with for over 14 years now continues to deal with traffic issues created by streets laid out in the 1830’s for horses and wagons. The decisions made by city fathers in the 1830’s have affected not just two generations, but eight generations — and that is just so far! Interestingly, once a community agrees their decisions should consider the impact on at least two generations to come, a huge proportion of conflict about the specifics of each decision goes away. Most political conflicts occur as a result of short-term thinking. By contrast, the very essence of a long-term decision horizon tends to create consensus rather than conflict.